A group of foreign journalists got a chance to visit the recently liberated town of Salma in the Syrian province of Latakia. 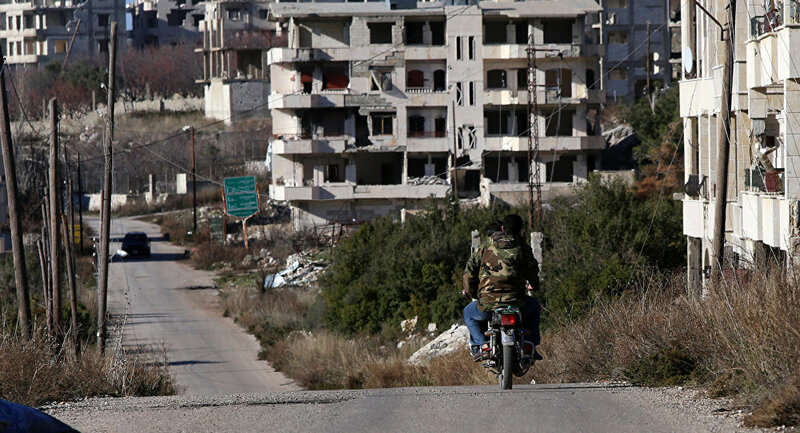 The Russian military showed the journalists the mountain resort city which was recently retaken from al-Nusra militants and other terrorist organizations. The city once a thriving resort now lays in ruins with some areas still mined, but liberated from the stronghold of the terrorists. The journalists were able to witness the results of the Syrian army operation. American, European, Chinese and Japanese reporters learned that they were going into newly liberated Salma, just a few minutes before arriving in the city – due to security reasons. All of them were given helmets and bulletproof vests, Vesti News reported. It is noted that the representatives of the media could move freely through the streets of Salma, they were allowed to ask questions of anyone who they wished to interview. The correspondents of the largest Chinese TV channel said that he was struck by the openness of the Russian military. The Russian Defense Ministry also reported that it is not a one-off event — the coverage of the fight against terrorism will continue. Last week it became known that, with the support of the Russian air force, the Syrian army was able to establish control over the city of Salma, after it had been in the hands of terrorists for the past four years. 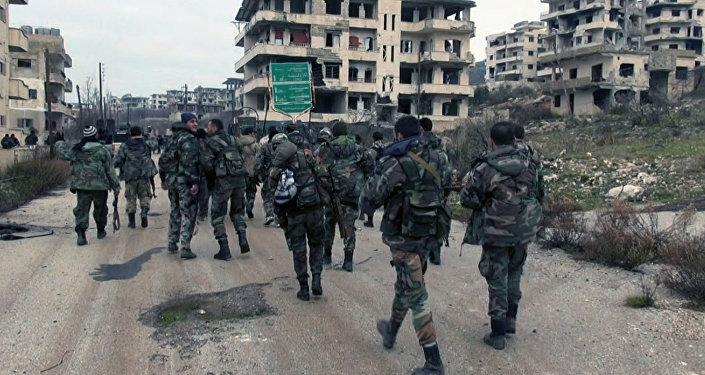 During this time, Syrian government troops held positions on approaches to Salma. However, the offensive was made possible after air strikes, intelligence gathering, and a blockade. The strategically important city was once a mountain resort, which is home to about 10, 000 people. It now lies in ruins, with some areas still mined. Earlier a RT crew also toured the neighborhoods of Salma and saw that the army is moving towards Rabia district, where the main terrorist stronghold is situated. This area is also located in the immediate vicinity of the road to the Syrian-Turkish border. In addition, this week the representatives of Russian and foreign media were able to go on board the anti-submarine ship Vice-Admiral Kulakov, which is on duty off the coast of Syria. The guests were shown the armed ship, including anti-missile and anti-aircraft missile systems.